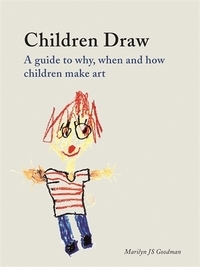 To celebrate the launch of Children Draw by Marilyn JS Goodman, we’re sharing some of our favourite images from this delightful guide to why, when and how children make art. Created by talented and curious youngsters aged two to twelve, this selection shows how children’s art offers clues to what they like and dislike, what they fear and what they desire and, most importantly, what they value and what they understand or have accomplished. 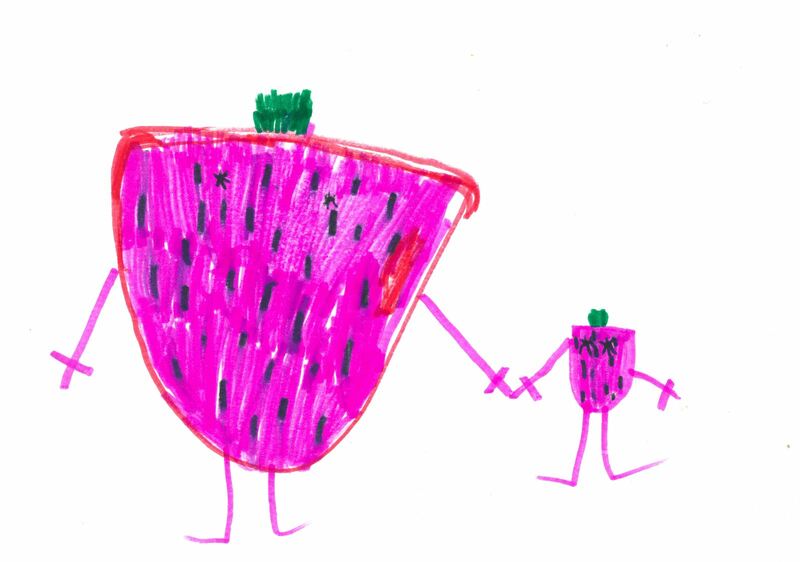 From walking strawberries and menacing monsters to family events, self-portraits and Doctor Who as you've never seen him before, these inspiring artworks will make you reach for your colouring pens. 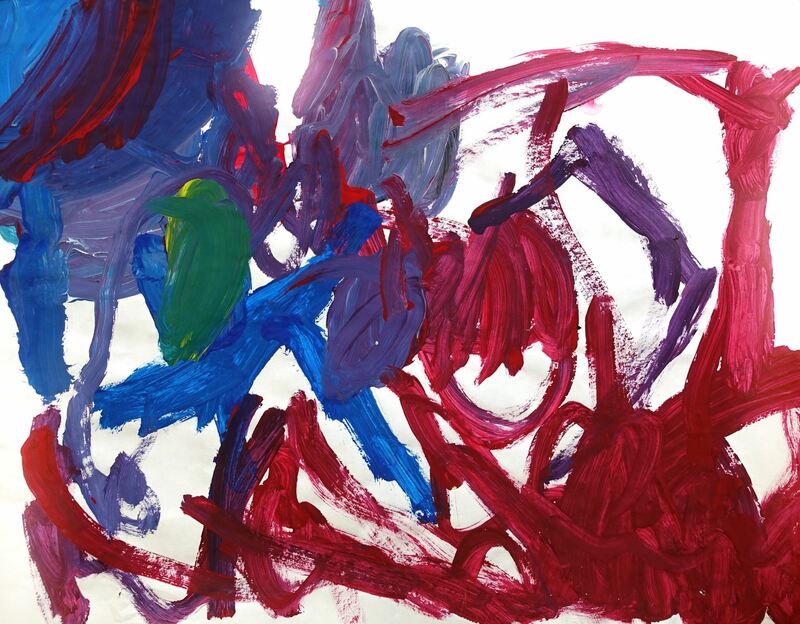 ‘Rocket Ship Voyage’, a dramatic portrayal painted in tempera by Charlie K., aged 3, focuses on the fire and smoke at the moment of the ship’s take-off. ‘My baby is here . . . he came in the winter’, by Sebastian S. W., aged 3–4, celebrates a big event in his family life: the birth of a baby brother. Sebastian distinguishes himself not only by size but by using a variety of different colour washes over the black marker drawing. 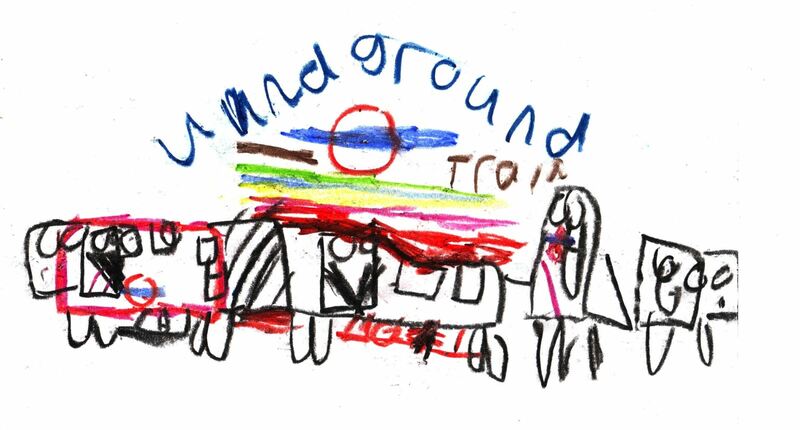 A very energetic depiction of a train in the London Underground, including Transport for London’s graphic symbol, by David, aged 5. 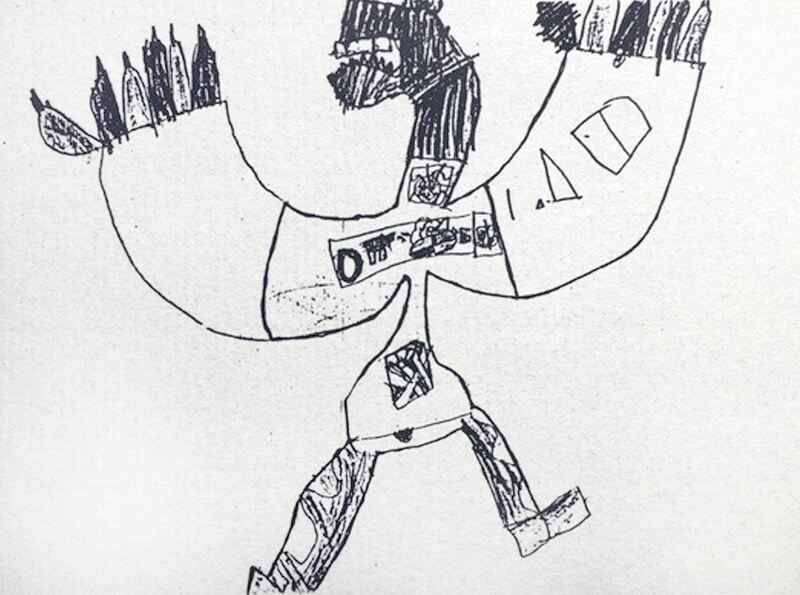 Menacing monster with outstretched wings, drawn by Charles T., aged 6–7. 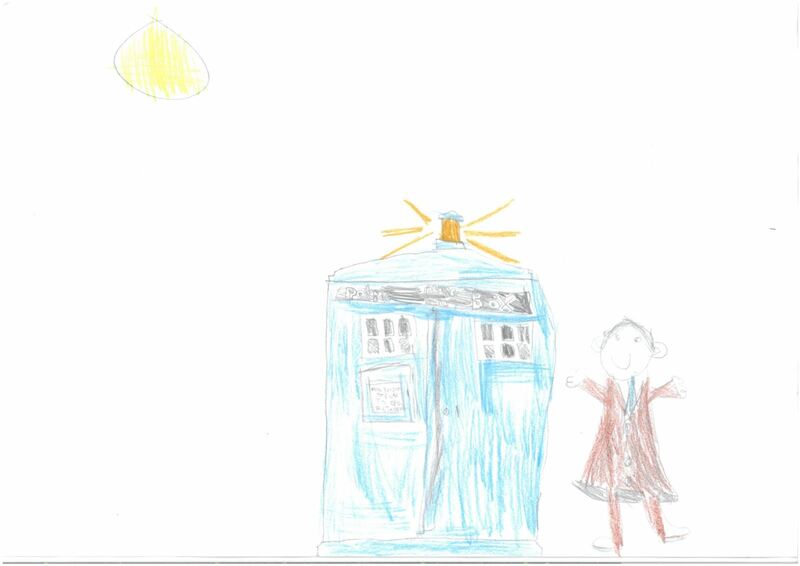 George, aged 7–8, re-imagines his version of the TV series Doctor Who and the blue TARDIS. Note how the three-dimensional TARDIS has been ‘folded open’ and ‘flattened’ in an attempt to portray two sides. The scale of this cat is enormous in comparison to the size of the trees and bushes around it. 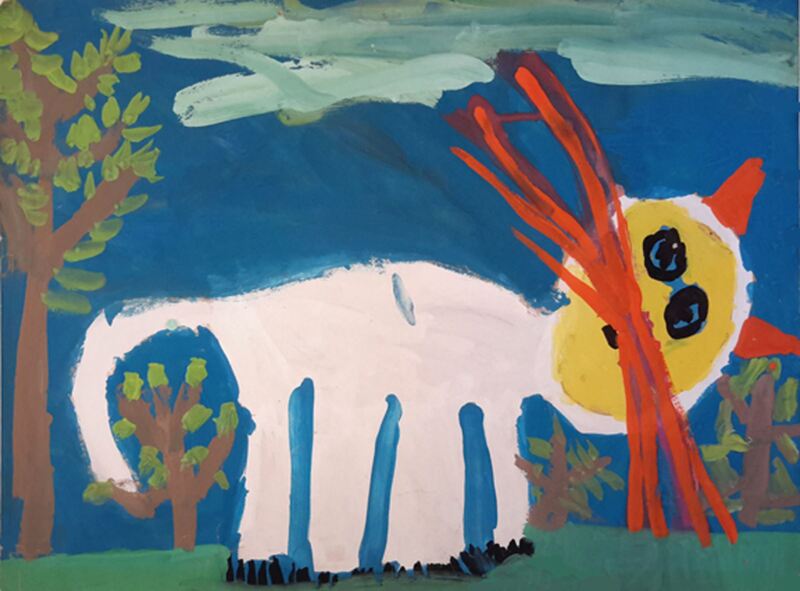 Sara, aged 7–8, has used colour and positioned the cat to emphasize its most distinguishing features: four legs, sharp claws, round face, big round eyes, orange, pointed ears and long whiskers that even seem to touch the clouds. The placement of the small tree on the left underscores the importance of the length and curve of the cat’s tail. 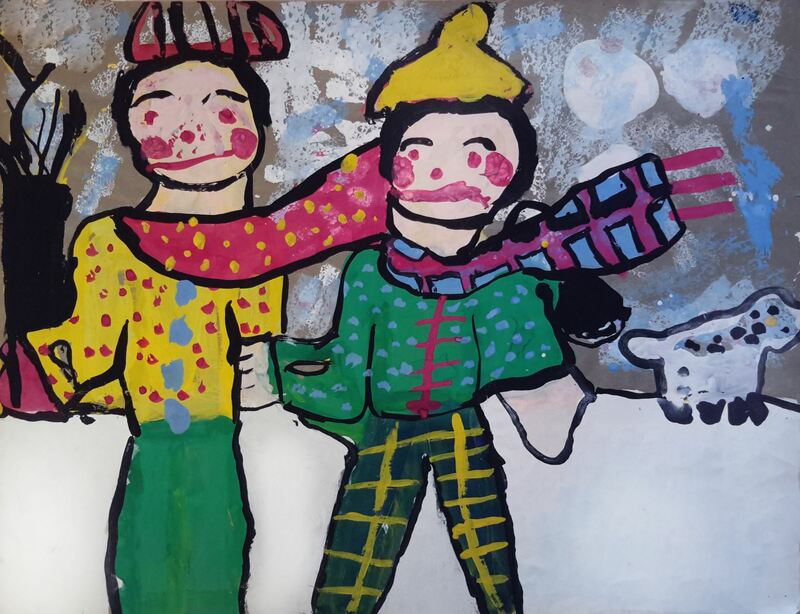 Tempera painting done in art class by Erik, aged 8–9, shows two brothers and their dog walking in the snow. Note the careful attention paid to the patterns and textures of the winter clothing – knitted sweaters, caps, scarves and mittens – and the cold, rosy cheeks of the boys. The black outlines and sponge-daubed background were added on the suggestion of Erik’s art teacher. Self-portrait by Jazzlyn, aged 10–11. 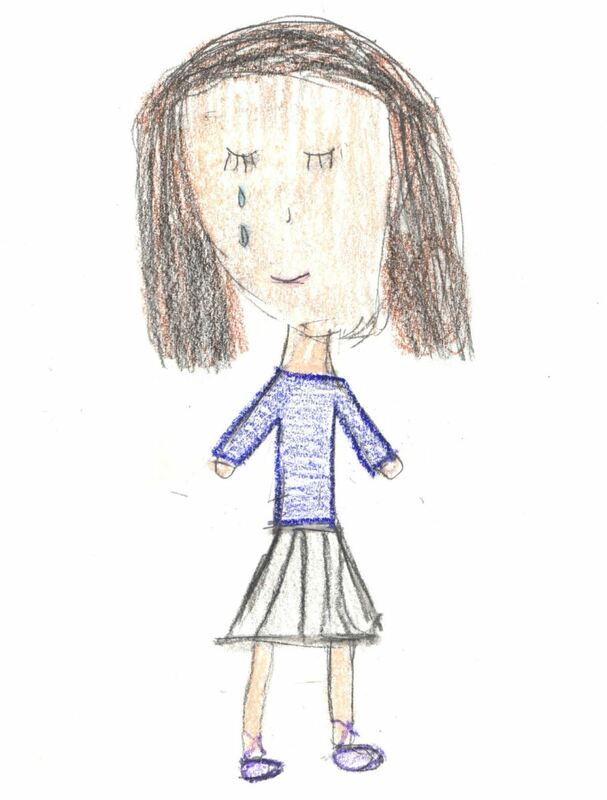 She has drawn herself crying because her grandparents could no longer take care of a dog and it had to be given away. 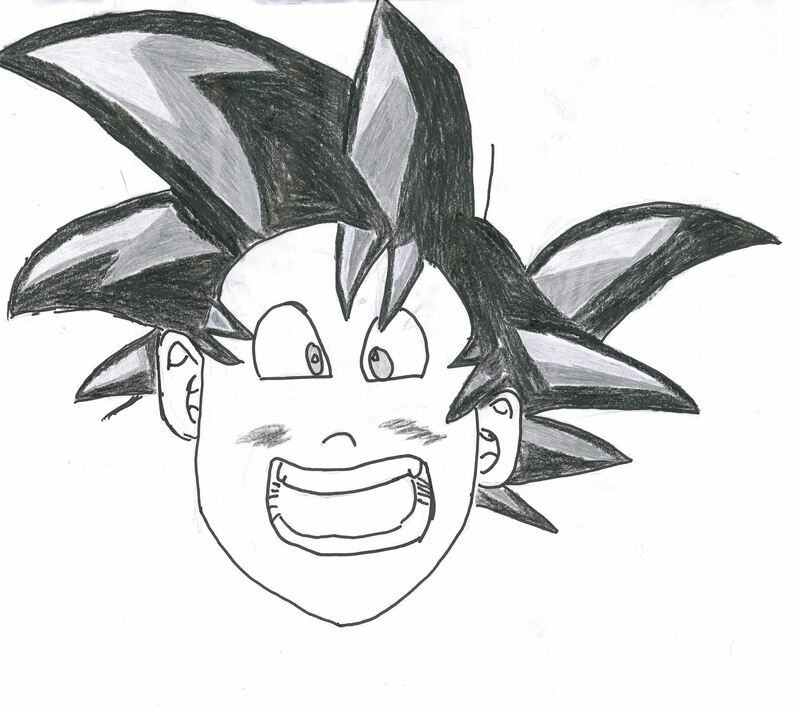 Pencil drawing of Goku, an anime character from Dragon Ball, by Jaime, aged 12. 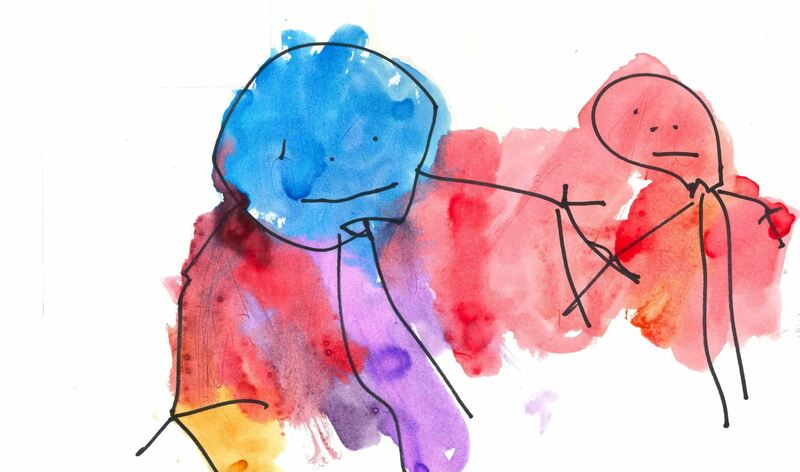 What do you see when you look at children’s drawings? Why do toddlers seem to enjoy scribbling so much? Why is it that youngsters draw pictures of houses with pointed roofs and chimneys, and yellow suns with lines radiating outwards? If any of these questions piques your interest, Children Draw: A Guide to Why, When and How Children Make Art is for you. Informed by psychology and practical teaching with children, Marilyn Goodman guides parents and carers through the progressive stages and characteristics of drawing development as children change mentally, physically, socially, emotionally and creatively. Find out more about the book on our website. These images are just a small selection of the many illustrations in Children Draw. Reaktion would like to thank all of the parents, carers and children who provided artwork for the book. It would not have been possible without you.